now that autumn has officially arrived my nesting instinct has kicked in around my home. I feel like my kitchen and dining room need a little hint of cinnamon to bring in a cozy autumn feel! 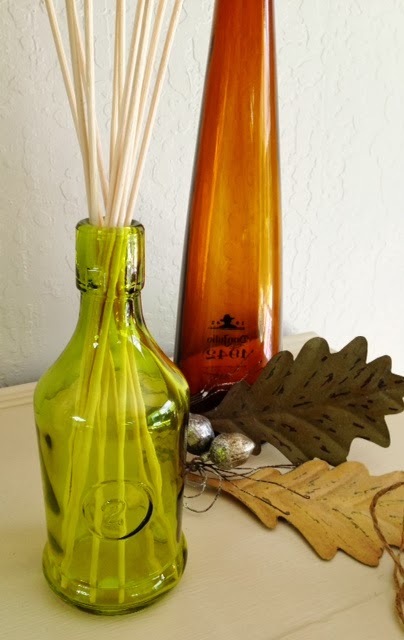 when we vacationed in montana this summer the house that we stayed at had a homemade diffuser in a mason jar. so, i got this idea of making my own diffuser. 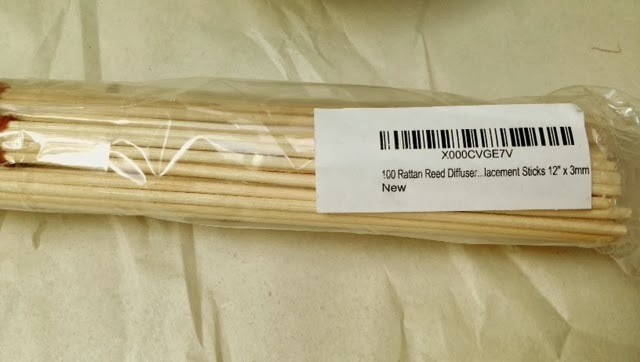 i bought my reeds from amazon, here is the link that i used: diffuser reeds also i found a small package of reeds at michael’s craft stores. what i read on the internet is that you want the rattan reeds since the oils will travel up them. i ended up using about 10 reeds per bottle. 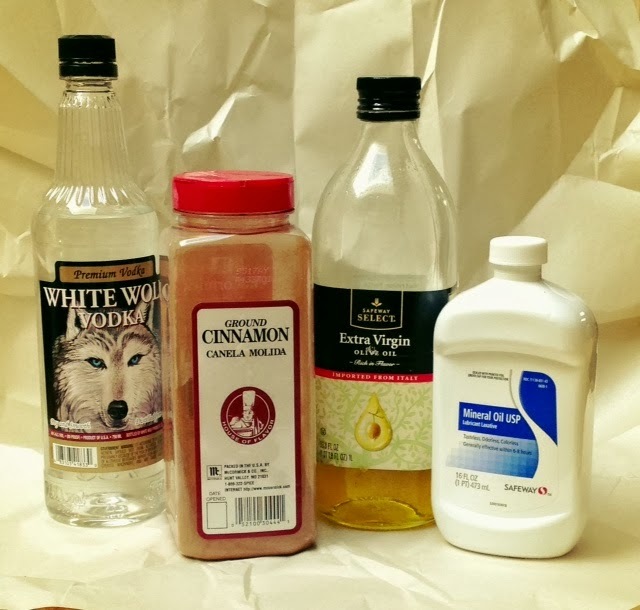 here are the ingredients you’ll need, vodka, mineral oil, and a essential oil. 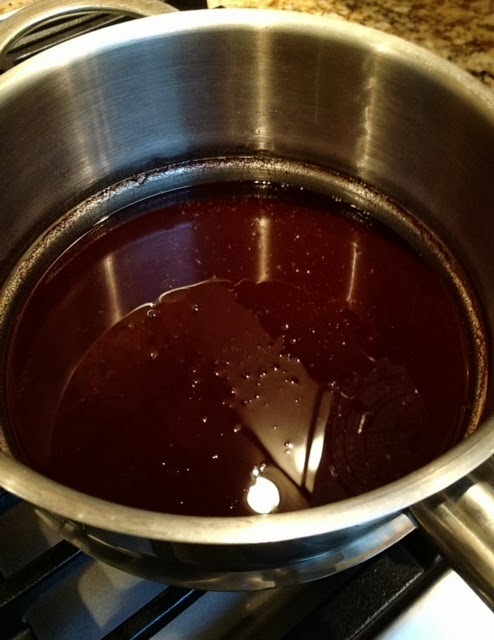 start with a 1/2 cup of mineral oil and add 4-5 tablespoons of vodka. thoroughly mix these two ingredients since the vodka helps thin the oil which helps the oil move up the reeds. if you want to add essential oils you can add them at this point, around 3-4 tablespoon or more depending on how strong a scent you like. i bought a few bottles of essential oils at whole foods but the amount that i bought was so small and expensive. so i went ahead and made my own cinnamon oil. to make it you’ll need olive oil and cinnamon. place about 3/4 cup olive oil and 1/4 cup of cinnamon (definitely buy this in bulk) in a sauce pan. stir and simmer for about 3 minutes. then place a coffee filter in a mug and carefully pour the cinnamon oil into the filter. 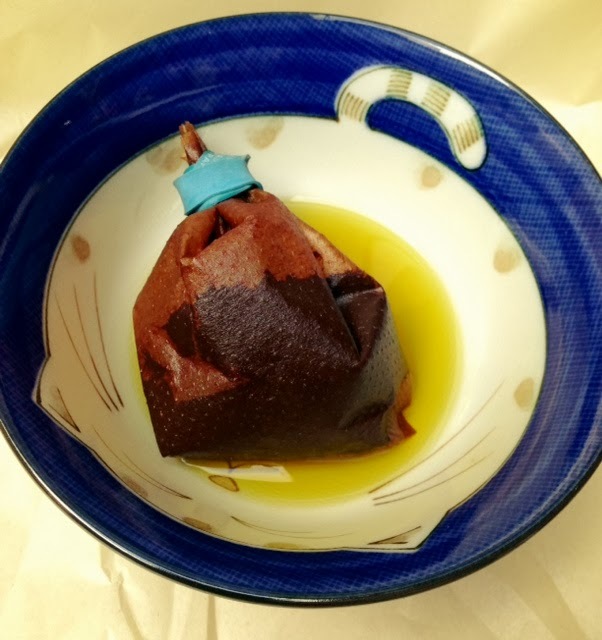 let it drain and after it has cooled wrap the top of the coffee filter with a rubber band and let sit over night in a bowl. initially, you’ll get some oil, but if you let it sit you’ll get more to drain out. i would imagine that you might have better drainage if you use a piece of mesh. i was lazy and just used what i had on hand. 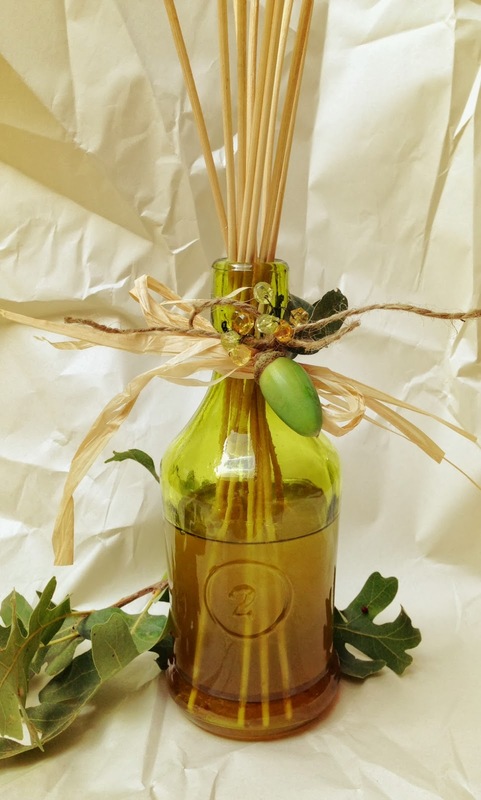 then once you have mixed this into the mineral oil and vodka mixture you can pour it into your decorated bottles and add the reeds. once the reeds are in and drenched with the oil take out and flip them upside down and place them back in the bottle. i flip my reeds everyday so that the reeds give off a fresh strong scent of cinnamon. 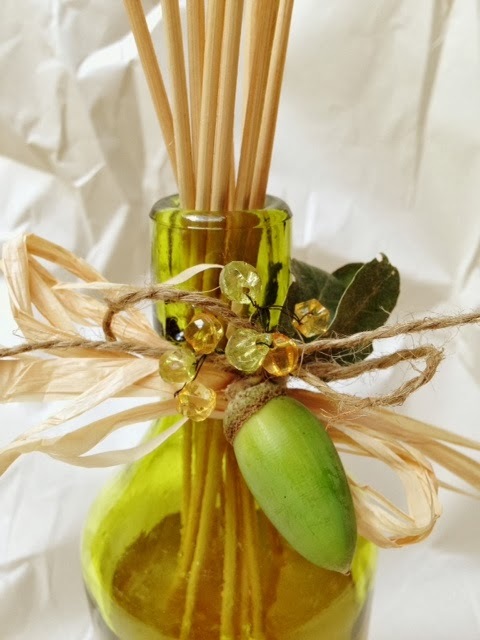 enjoy the scents of autumn! i used oak leaves and an acorn for decor. of course i had to add a bit of shiny beads to the bouquet!